One of the things I have hoped and intended to do for a long time is to make the Prayer Book Studies series more available throughout the church. For those not familiar with it, “Prayer Book Studies” was a concept set into motion by the Episcopal Church’s General Convention in 1949. This would be a study of liturgy, liturgical principles, and the rites of the church that would guide progress towards a new Book of Common Prayer. Prayer Book Studies I/II (containing the first two studies) appeared in 1950; Prayer Book Studies 29: Introducing the Proposed Book of Common Prayer was published in 1976. Appearing (mostly) in floppy blue pamphlets of varying length, these booklets are invaluable looks into the thoughts, logic, knowledge, and assumptions of the men (mostly men…) who shaped our present American Book of Common Prayer (1979). As we discuss liturgical revision at this time, and as we have memorialized the 1979 BCP—whatever that means—it is imperative that we as a church gain a clear sense of this book that we have and the principles and priorities that produced it. And these topics are discussed and made explicit in the volumes of the Prayer Book Studies. I have signed a contract with Church Publishing to produce a digital edition of the full series. Exactly how they will be gathered and distributed is a marketing decision, and not entirely in my hands. Nonetheless, the goal is to produce the complete text containing footnotes (and introducing editorial footnotes where I think something needs to be added or clarified) for the reflection and edification of the church. Want to know why a text was chosen? Check here first. Want to understand the reason for a rubric? Check here first. We plan to move quickly on this. I’ve already begun the first series, and PBS 1-3 are in the hands of the good folks at CPG. I intend to finish the first series (Prayer Book Studies I-XVII) by the early summer; I don’t know what that means exactly for a release date, but I hope not too long after that. I plan to blog as I go, sharing some of the gems I discover, and whetting your appetites for the arrival of the full set. So—check back frequently for more updates, ask me if you don’t see any, and keep me in your prayers as I work to make this great set of resources available for the church! 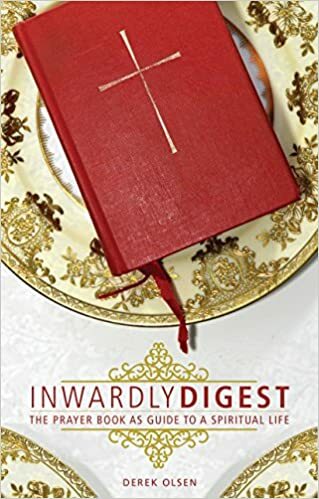 This entry was posted in Anglican, Liturgy, Prayer Book and tagged Prayer Book Studies on April 24, 2019 by Derek A. Olsen. This entry was posted in Uncategorized on January 2, 2019 by Derek A. Olsen.